Hunter Wellies are now made abroad! See the long list of complaints at the end of this post! 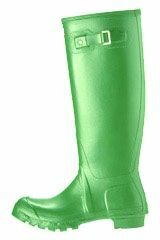 Joining what used to be Scotland’s Silicon Glen, manufacturing costs in this country have driven the makers of the famous Green Hunter Wellington boot overseas. Having survived their first brush with the administrator in 2006, the company succeeded in surviving a number of trials, but ultimately had to yield to economics and transfer its production to places such as Serbia, China, and Brazil. The changes are expected to see its head office move from it Heathhall works near Dumfries, and result in the loss of up to 22 jobs – with only seven employed in boot manufacture. In 2006, staff had numbered 101, with most involved in manufacturing, and the company then ranked amongst the largest employers in Dumfries. This entry was posted in Hunter Wellington Boots, Wellington Boots on March 10, 2013 by ukmade. boring. You could glance at Yahoo’s front page and note how they create post headlines to grab people to open the links. You might add a video or a picture or two to grab readers excited about what you’ve got to say. Thanks for your comment. The blog is deliberately utilitarian – a place to quickly and easily source quality British made products. It’s just a hobby really, but I try to keep it factual. I don’t disagree with what you say though. It has to be interesting too and in my more recent posts you will notice that I have tried to make it a bit more personal. I will try to do most interesting headlines. Must try harder! Noted! Hunter Boots now have the Pentland Brands Group as a major shareholder. Pentland are responsible for purchasing a vast number of its products from China and other far eastern countries. Hunter Boots are all now manufactured in China, but you try and find the detail on the boots, it is not easy as it is hidden away on the forward edge of the heal moulding! I have written to the Royal Warrant Holders Association that these ‘Country Set’ wellies are still holders of two Royal Warrants………….. Surely this should not be the case? Quite right, Hunter Boots should not hold any Royal Warrants. All their products are foreign made.